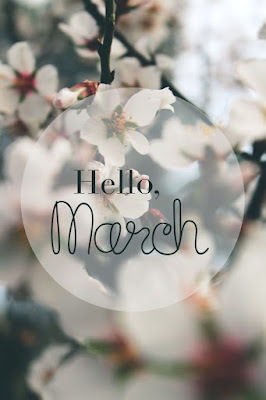 Hello everyone and happy March! Isn’t there always something so amazing about surviving the short long month of February? Even though March is always unpredictable, I love entering a month where I know we will start seeing more daylight, warmer temperatures, and maybe even some green grass if us Minnesotans are lucky enough. I have decided that with the invigoration that comes with this month, I would put together a list of goals! To be honest, I am terrible at setting goals, but they really are a great way to hold yourself accountable and think about little things you would like to accomplish. We have a lot going on, so I am not going for anything too lofty, but am excited to see what I can get done if I put my mind to it! Continue with our home progress. For this month, that means obtaining our bid, applying for our construction loan, and ideally getting approval by the end of this month. This means lots of organization, planning, and discussions on our end, but we are determined to keep this train moving as swiftly as possible! Work on expanding Jackson’s vocabulary. The little guy still just doesn’t talk much. His influenza really set us back from working on anything for about two weeks, but now that he is on the mend, I want to dedicate extra effort to working on his speech this month, and adding 5 new words to his vocabulary. Register Jackson for tumbling and swimming lessons. Attend the spring Tour of Homes. Find a new recipe I have not yet attempted to bring to Easter brunch. Continue running and do so 3 days per week. Wake up 20 minutes before I need to in the morning to get in strength training, take my time getting ready, and enjoy a few minutes to myself. Go through Jackson’s newborn and 3 month clothing, bring it back to our house from my parents and start washing and organizing Jackson’s room to fit everything in for two children! Make one ‘diaper run’ to stock up on future sizes for baby boy. Some of these are really just things that need to get done, but a few are challenges to myself to improve and better upon my current routine. Do any of you have recommendations for goals that are great to aim for this time of year!? Friday Favorites: HUGE Beautycounter Sale! You are going to really enjoy waking up a little bit earlier each morning. 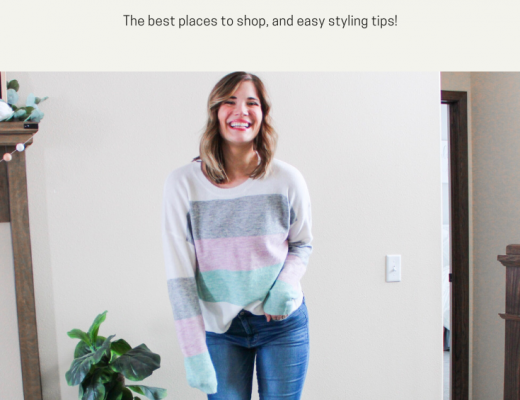 It's hard at first, but it's so nice to do things at a leisurely pace instead of running around like crazy…which is what I used to do! How is it that February is the shortest but it feels SO long? !